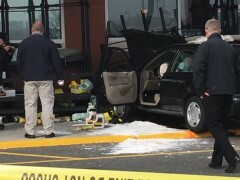 The two pedestrians who were struck by a vehicle in the parking lot of the Brick ShopRite supermarket Friday morning were senior citizens, as were the drivers of two vehicles involved in the incident. 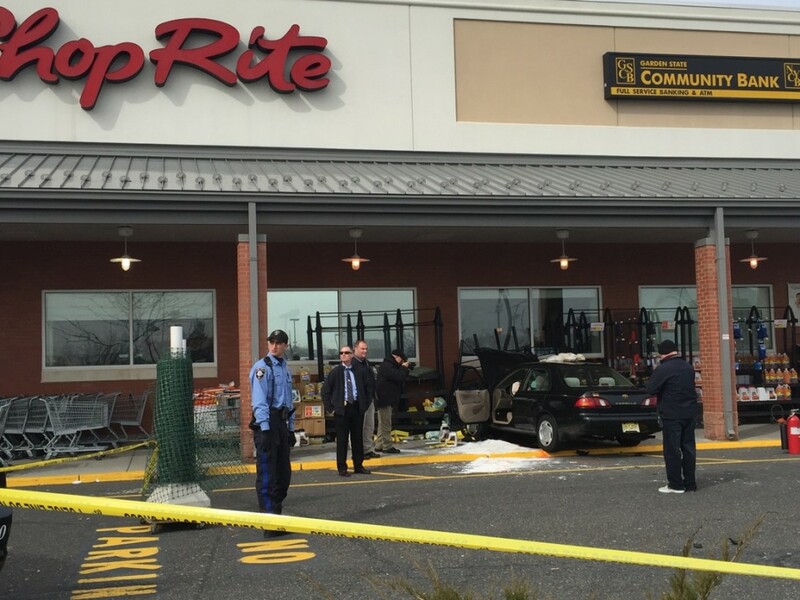 According to Brick police, Vincenza Riccio, 88, of Brick, was traveling north in her 1998 Toyota Corolla in a parking aisle of Kohl’s Plaza in the area of the ShopRite store, while Mary Gagliano, 85, of Toms River, was traveling south in the same parking aisle in a 1998 Hyundai Sonata. At the same time, Joel Strasser, 77, of Brick, was walking south with a shopping cart alongside the Hyundai, when the Toyota veered to the left, hitting the Hyundai while making slight contact with Strasser. The Toyota then continued toward the ShopRite building, jumping the curb to the sidewalk and ultimately hitting the building. As the car hurled toward the building, a second pedestrian, Elizabeth Simpson, 90, of Lakewood, was struck while pushing a shopping cart. Strasser was not injured, however Simpson was being treated for a leg injury and had to be airlifted to Jersey Shore University Medical Center, Neptune. Riccio, the driver of the Toyota, suffered possible internal injuries and was taken by ambulance to Jersey Shore. An employee from the Brick Township building department responded to check the buildings structure and deemed it to be safe, said Sgt. Neal Pedersen. The Brick police Traffic Safety Division is investigating the crash and is interested in speaking with any witnesses that might have witnessed the crash. Witnesses are urged to contact the division at 732-262-1143.